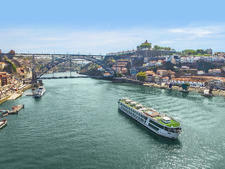 Emerald Sky is the first of a fleet of "Star Ships" ships launched by Emerald Waterways, a European river cruise line that made its debut as part of Australian-owned parent company Scenic Tours, which also boasts all-inclusive brand, Scenic Cruises. 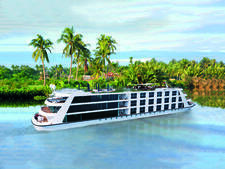 It marks an exciting departure from existing vessels, with an exceptionally bright, modern look and a unique new-to-river feature: a swimming pool with a retractable roof that transforms into a cinema at night. The three airy passenger decks pack in plenty of other facilities, including a hair salon, gym, massage room and bikes that passengers can use to explore independently. Some initial issues with the ship -- such as an extremely steep staircase onboard -- were fixed in the months following its launch. 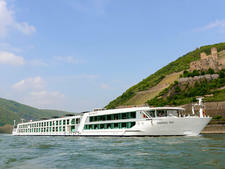 Between March and November, Sky sails on three Rhine-Main-Danube itineraries that range in duration from eight to 15 days. 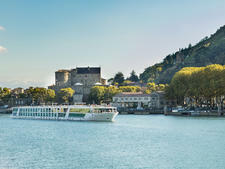 This fresh-looking line has broken the traditional mold of river cruising and will appeal to people looking for moderately priced cruises, as well as younger cruisers and first-time passengers dipping a toe into this burgeoning sector of the cruise market. 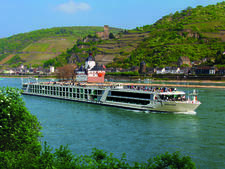 More than 50 percent of passengers are from Australia, where the line has its roots and is part of the well-established Scenic Tours brand. Expect the rest of the passengers to hail from the U.K., U.S. and Canada. 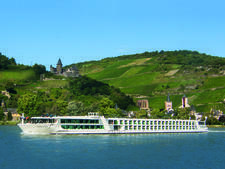 While Emerald Waterways says it's not deliberately targeting a younger demographic, the line could well find a niche with cruisers in their 40s and 50s, which is below the average river cruise age group. The ship has a relaxed, easygoing vibe. 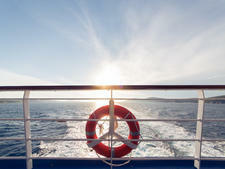 There is no special dress code, and there are none of the formal nights you get on ocean cruises. For dinner, smart casual attire is recommended. Jeans can be worn in the restaurant in the evening, but shorts and flip-flops are not appropriate. Many passengers up the sartorial ante for the captain's welcome dinner and/or farewell dinner, albeit this still errs on the side of smart casual, rather than full-on cocktail dresses and suits. 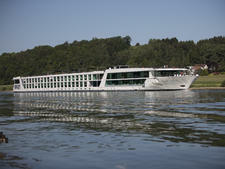 All gratuities and tips on Emerald Waterways' river cruises and shore excursions are included. Passengers who wish to show gratitude for exceptional service are welcome to do so at the reception desk at the end of the cruise. The onboard currency is the euro.